In this article we answer your concerns about feeding your Labrador puppy. You’ll find all the information that you need for choosing the best dog food for Lab puppies. 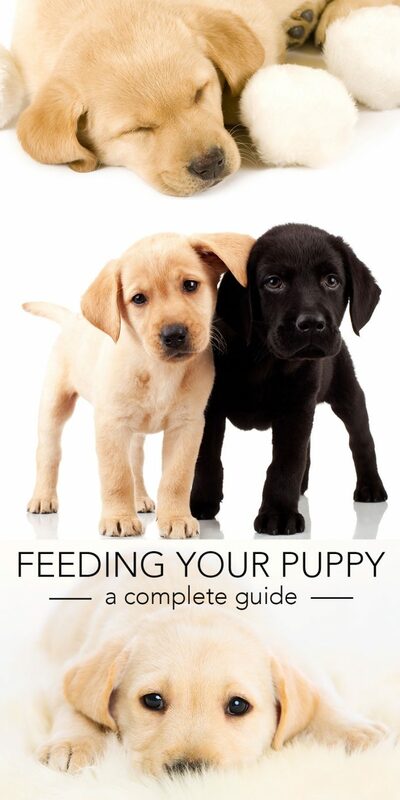 Including how much to feed your Lab puppy and how often to feed your Labrador puppy. Together with schedules, quantities and even a handy puppy diet chart. There are often questions on the website about feeding Labrador puppies. People ask if it is OK to give puppies eggs, or rice, or milk, and so on.